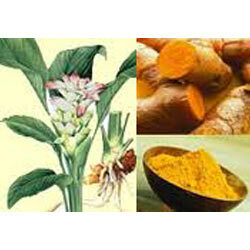 Turmeric is a perennial plant with roots or tubers about 1 metre in height. Indian turmeric is considered the best in the world. Turmeric leaf oil has various chemical compounds that include phellandrene, limonene, zingiberene, curcumene, turmerone, turmerone, turmerone and cineole. 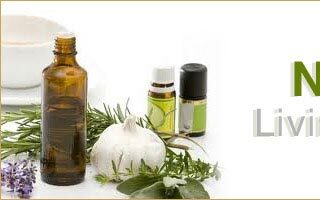 Turmeric leaf essential oil is viewed as a strong relaxant and balancer. 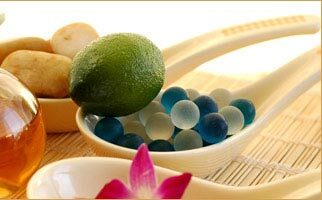 It also has historical applications as an antiseptic and for skin care use against acne and facial hair in women. 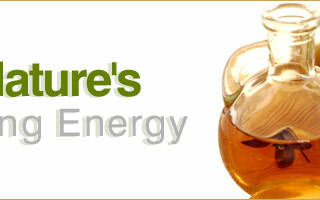 It has a great role in flavorings for food additives. It is one of the most important colouring materials of India. The leaf oil yield the orange-red dye. It is much used to impart a yellow colour to cloth.